Designs that properly plan for FDA regulatory & customer qualification tests. IoT ready & HIPAA Compliant. 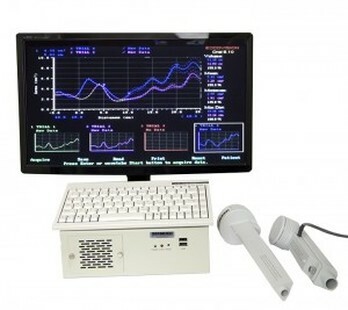 Designed for USC and Sleep Group Solutions, this device measure a patients airways using sonic pulses (acoustic reflectometry). Technologies Used - Touchscreen LCD, USB interface, electro-mechanical valves, microphones, filters, pressure sensors, embedded system. Designed for Alcon Laboratories, these probes assist surgeons in rental re-attachment. Technologies Used - miniature devices and microscopic assemblies. 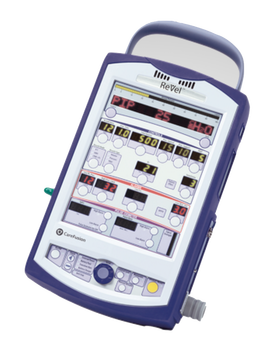 The ReVel® portable critical care ventilator provides high-performance ventilation on the fly for pediatric to adult patients weighing at least 5 kg. Revel Respirator - Updates to the unit for MIL-SPEC applications. Technology Used - Micro controller, hydraulics, pressure sensor. Energy Knee Prosthetic - Enjoy an active lifestyle on this microcontroller powered knee. Technology Used - Microcontroller, hydraulics, strain gage, accelerometer, springs, pressure sensor. Leg attachment and release system - Quick release connection system for your prosthetic limb. Winner of the Red Dot design award. The AEGEA Vapor System utilizes water vapor to treat menorrhagia. Menorrhagia, or menstrual periods with abnormally heavy or prolonged bleeding, affects nearly 1 in 5 women between the ages of 30 and 50. To treat abnormal uterine bleeding, the AEGEA Vapor System is designed to deliver controlled, low-pressure clean and efficient water vapor to the uterine cavity to efficiently ablate the inner lining of the uterus. The combination of data from the TCD measurements and physician diagnoses will help researchers look for clues about how brain blood flow is affected by mild traumatic brain injury. Technology Used - Micro controller, micro-motors, positioning algorithms, digital communications, doppler scanning. 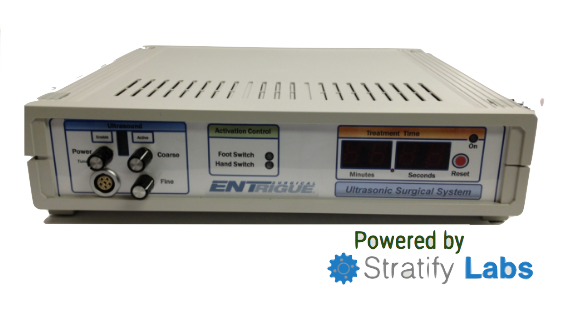 Ultrasonic surgery system - Cut and cauterize tissue in one pass. Technology Used - Micro controller, drivers, analog tuning, digital communications, & LED display. An IoT scanner that wirelessly report patient data to a medical database accessible by a physician.